And How Does Minimum Payment Fit In? Do you know the difference between the two balances? Your current balance is the total amount of unpaid charges and fees that you owe on your card at any moment in time, independent of the billing cycle. Your statement balance is a reflection of what you owe at the end of a billing cycle. Typically, a billing cycle is one month long (although it doesn’t necessarily correlate to the beginning and end of the month). The statement balance is the one that you must pay in full to avoid incurring interest charges. Credit cards usually offer a grace period, typically anywhere from two to three weeks, to pay off your statement balance. By paying it off in full, you avoid incurring interest on the purchases that you made during that period. New purchases that you make during the grace period are part of the next billing cycle and will not accrue interest unless you fail to pay them off by the end of the next grace period. 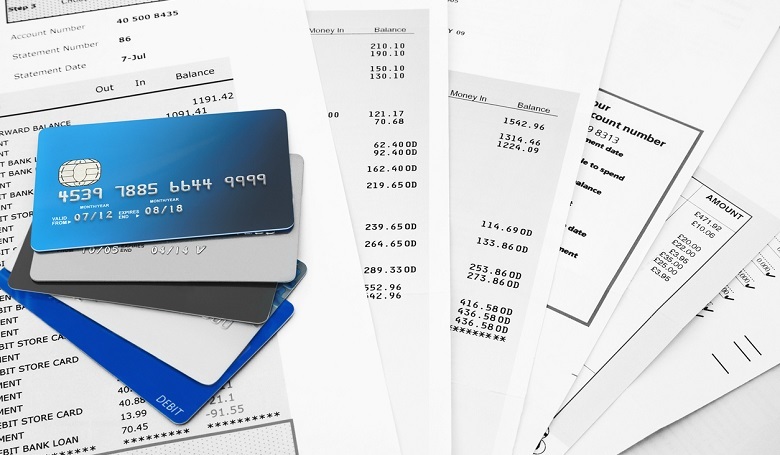 If you keep a running balance or you are late with a payment, your credit card company may temporarily suspend your grace period for a billing cycle or two, or eliminate it altogether. In that case, interest usually begins accruing from the date of purchase. That’s another reason why it’s preferable to pay off the statement balance in full before the grace period expires – and if you can’t pay in full, make sure that you pay at least the minimum to avoid late fees and other potential penalties. If you pay your statement balance on time but not in full, you will incur interest charges on the unpaid portion. Those charges will appear on the next statement balance and will be part of the amount that you must pay in full to avoid interest charges on the statement balance beyond that. Check your credit card terms and conditions for details on how grace periods are handled and when interest begins accruing on charges that are carried over into the next billing cycle. At the moment that your billing cycle ends and your statement balance is generated, the statement balance and your current balance are the same. Your real-time total credit card debt may be different, because a charge that you made shortly before or after the statement balance was generated may not have been posted yet. If you check your current account balance online or via a mobile app, those charges should be listed as “Pending Transactions” or something similar. Minimum payments are typically calculated as a percentage of your statement balance (or, if you prefer to think of it that way, the current balance on the day your statement balance is created). Cards vary in the percentage they apply (usually 1% – 3%) and the details of how minimum payments are calculated, so check the terms and conditions on your credit card for details. You may not realize it, but you have the option of paying your current balance instead of your statement balance at any time. By doing so, you are essentially paying ahead on the next month’s statement balance. Some people hate owing any money at all and prefer to see a $0 value on their current balance. Paying before the amount is due could actually increase your credit score. It’s useful to monitor your current balance to keep better track of your spending, but it may not matter whether you prefer to pay your statement balance or current balance. In either case, there are two good rules to follow – keep your spending low enough that you can pay off your statement balance in full by the grace period, and always make sure that you make at least the minimum payment on time.